A police and crime commissioner has been branded "disgraceful" for suggesting Lyme Regis would be a good place to smuggle drugs through. Avon and Somerset's Sue Mountstevens said she would use Lyme Regis in Dorset as a gateway to the UK, as it might be easier than through a dedicated port such as Dover. Lyme Regis Town Council said it "did not appreciate the encouragement". 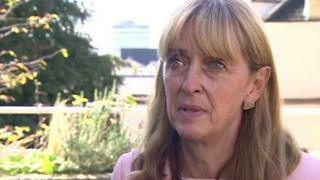 Ms Mountstevens apologised for the "clumsy comments". She was speaking at a PCC and police public forum in Bristol when she made the comment. The Local Democracy Reporting Service (LDRS) said Ms Mountstevens told the meeting: "Our colleagues at the border agencies do phenomenal work and they work very closely with our crime units. "But if you look at all the ports that are around, we're an island. So if I was a drug dealer, I probably wouldn't go to Dover. "I would go down to Lyme Regis or somewhere like that." Brian Larscombe, of the town council, described Ms Mountstevens' comments as "disgraceful" and suggested she "needs to know her geography", as Lyme Regis is "probably the furthest coastal town from the continental coast". "To single out Lyme as a place for importing drugs is a bit odd. We do not want any encouragement of that." Councillor Cheryl Reynolds, chairman of the town' tourism, community and publicity committee, said: "I think everywhere in this country has a drugs problem so it's a bit silly to say that about Lyme Regis." In a statement, Ms Mountstevens said: "I wanted to make an important point about the vulnerabilities of Britain's coastline in regards to the movement of illegal drugs, and there was no malicious intent behind my mentioning of the resort by name."